Visiting London for a corporate meeting? Impress your clients with a luxury corporate tour. Minibus Transport Solutions has come up with a fleet of luxury vehicles. Offering the 7, 8, 9, 12, 14, 16 Seater Corporate Minibus Hire in London, we cover all kinds of group transfers. Each of our vehicles is presented with courteous and well-dressed coach drivers. As one of the most famous corporate minibus hire provider in London, we have worked with all the businesses and events. Our services are thoroughly famous among the foreign and local clients. Whether it is an event that includes a number of employees or just a couple of colleagues, there will be a full arrangement for all the conditions. We take pride in providing you an upbeat travel service and confidently full-fill all the small needs of the clients. This category is specially prepared for the corporate trips. 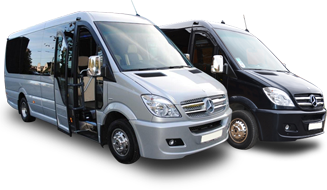 The Minibus Hire Services provided by us are professional, cost-effective, and reliable. All the vehicles included in corporate services are filled with luxury equipment and accessories including air conditioning, DVD players, microphones, and a charging plug. We will also provide drinking water, tissue papers, and basic needs of a corporate meeting. The efficient and experienced staffs at us act as the key to the success of MTS. They make sure that you have a wonderful experience while travelling with us, and for this every possible effort is made. You will be picked from the destination on time and will be transferred via the shortest route available. 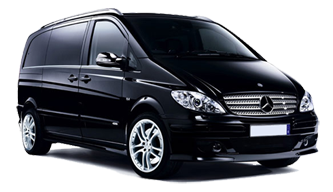 We do provide Airport Minibus Transfer Services in London, hence you need not worry about the airport transfers. The driver who is in charge of your transfer monitors the flight timings regularly, this ensures that no problem occurs due to the flight delay. All the packages available at us are crafted by an expert team and this makes us a cheap Cab Service of London. Fill the form available on the website and clear all your travel related doubts. Once cleared with all the doubts follow with the booking procedures.